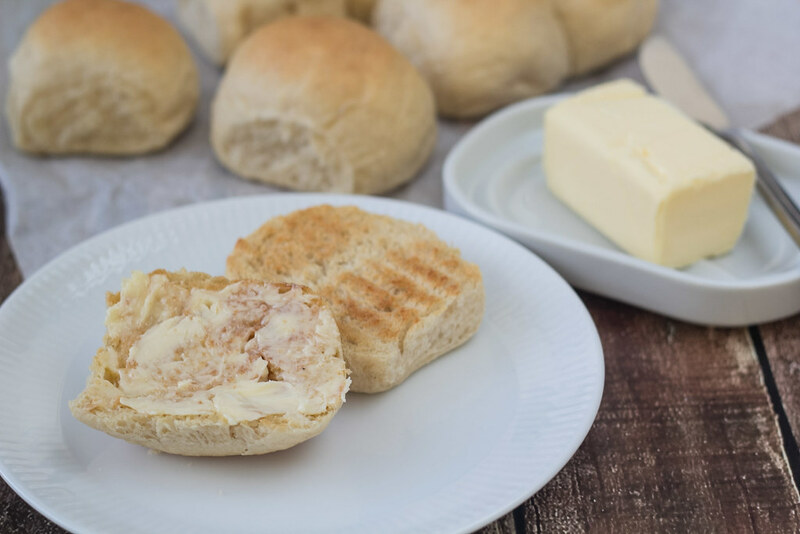 In Denmark it is a great tradition to eat warm wheat buns, or wheat buds (hvede knopper) as they sometimes are called, the day/evening before Big Prayer Day (Store Bededag). Big Prayer Day is always the fourth Friday after Easter. 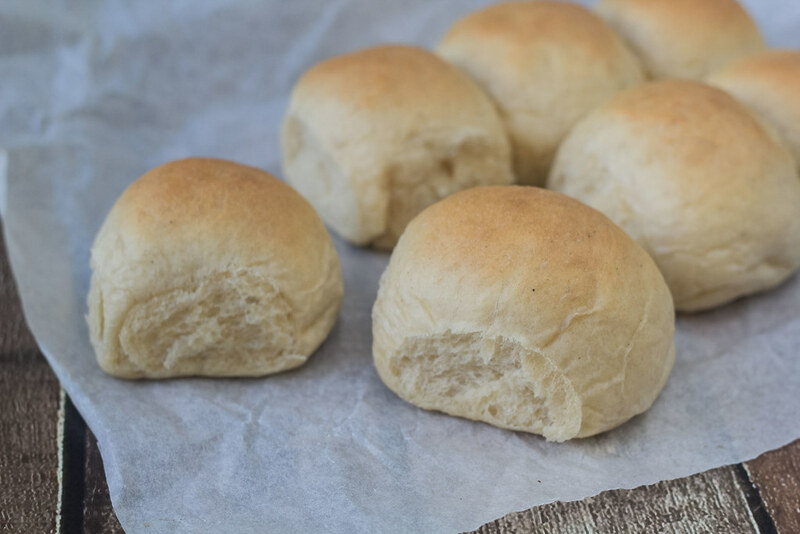 Originally these wheat buns where made some days in advance, because Big Prayer Day is a holiday where the bakers weren’t at work. The buns where then bought before Big Prayer Day and then toasted on the day. 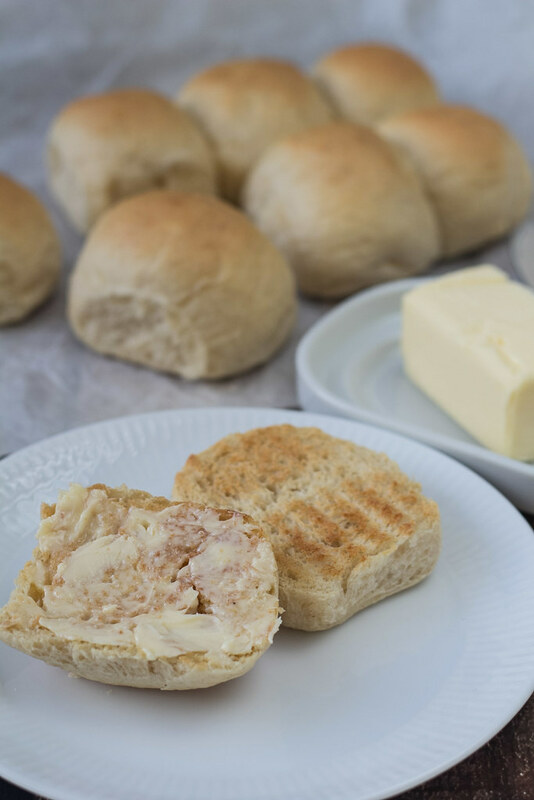 Today, it is more a tradition to eat the wheat buns the evening before the Prayer Day. 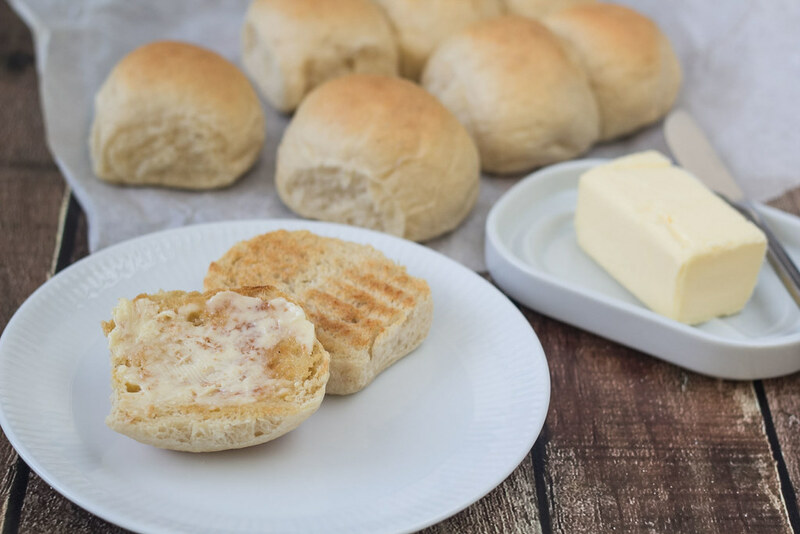 These buns are very similar to another traditional Danish type of buns which are called Krydderboller which means Spiced Buns because of the cardamom which is added to the dough – the recipe for the two types of buns are almost the same. 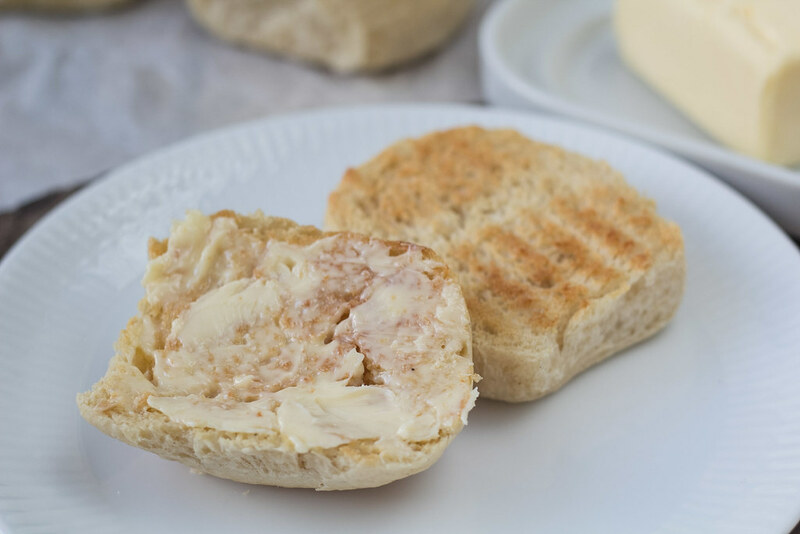 The buns are normally cut in two halves and then toasted on a toaster or in the oven. They a served with cold butter and cup of coffee. 1. Heat the milk so it is lukewarm and dissolve the yeast, salt and sugar in it. 2. Add the egg, the soft butter, all purpose flour and cardamom. 3. 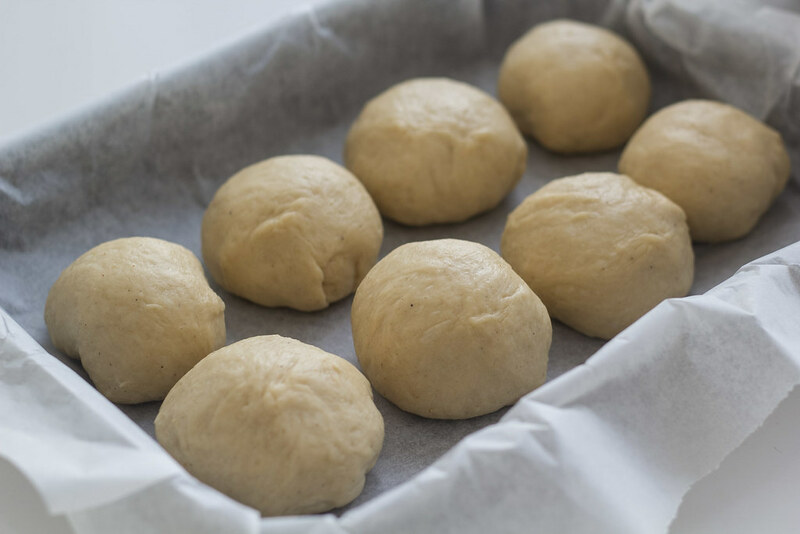 Knead the dough using your hands or a stand mixer. 4. 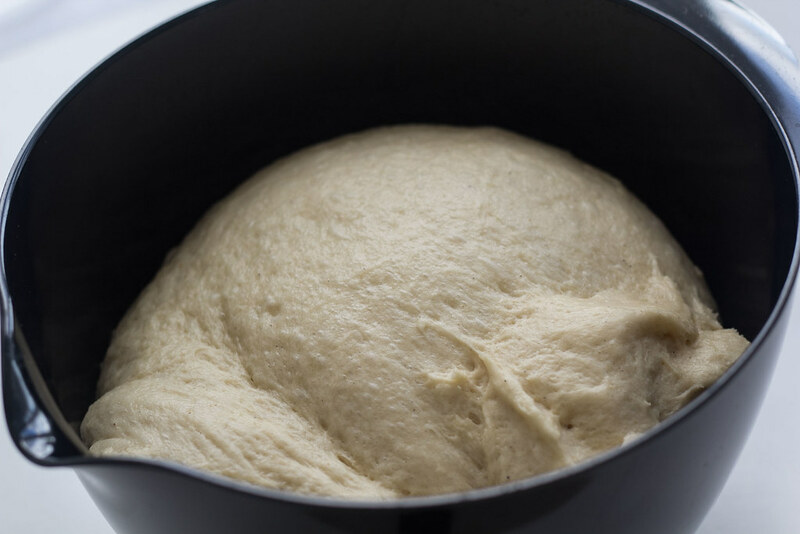 Leave the dough to rise some place warm for about an hour. 5. 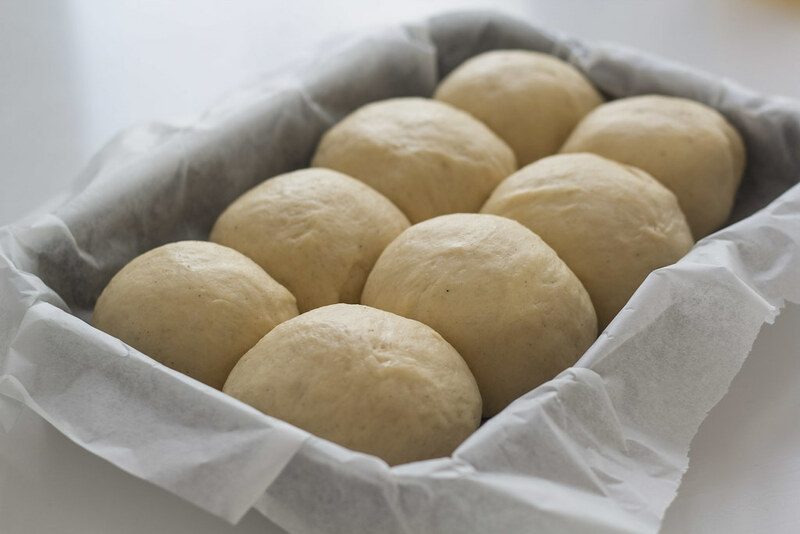 Divide the dough into 16 equally sized pieces and roll them into buns. 6. On a parchment paper covered baking tray; place the buns side-by-side. They must be closely adjacent to each other, but without touching. 7. 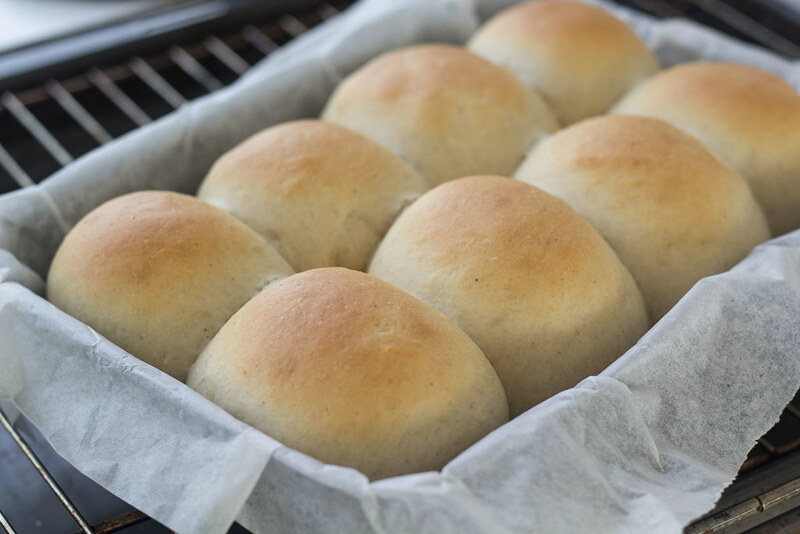 Cover the buns with a clean dishcloth and let them rise for another hour. 8. Bake the buns at 200 C (400 F) for about 8-10 minutes. When done; let them cool off a bit. 9. Cut the buns at the middle and toast them lightly on a toaster. Serve them warm with cold butter.